(the oldest is from 1906! ), which we’ve pulled out of retirement to produce our own line of stationery and invitations. Using the most gorgeous papers from around the world, we strive to create products and invitations that feel timeless. Letterpress creates a beautiful impression into the paper so that you can see the dimension. People hold letterpress papers like they are precious, and they are. Our team feeds each one by hand into the presses, making sure that they are as perfect as we can make them. Our printers have been at it for years, and take pride in producing invitations that are works of art. Scriptura employs a staff of designers and illustrators who are at the ready to create something beautiful. We have a passion for typography and have amassed a collection of vintage monograms and modern scripts from which we can pull to create just the right mood. Several illustrators on staff mean that we can draw anything from a portrait to the perfect drawing of the house where you'll be getting married. 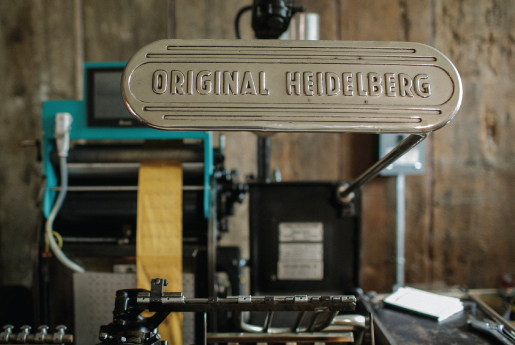 We’re type geeks in just the right way: you might hear squeals of excitement when we find that perfect new font. 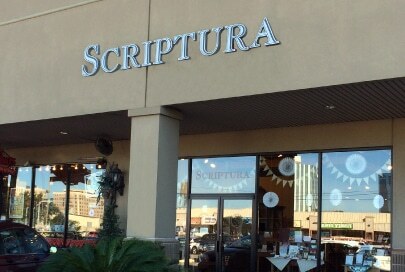 Scriptura has two locations– one on historic Magazine Street in New Orleans, and the other at Lakeside shopping center in Metairie. 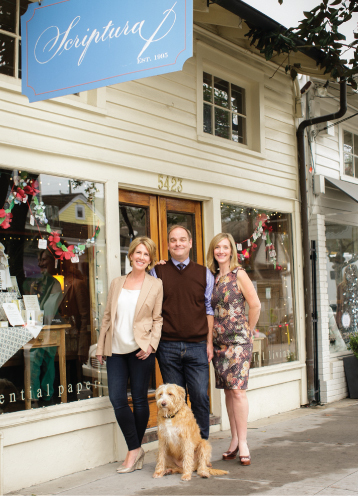 Our stores are filled with old world charm and modeled after European papeteries. They feature a well-curated collection of writing instruments and inks, Italian leather bound journals and albums, stationery, desk accessories and sophisticated paper products. 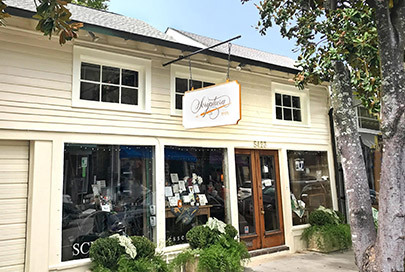 Stop in for a look and pick up some of Scriptura's exclusive collection of New Orleans themed stationery and products, or find the perfect leather journal to pen a memoir. Scriptura can also create wedding invitations, stationery, or party invitations for all of life's important events. 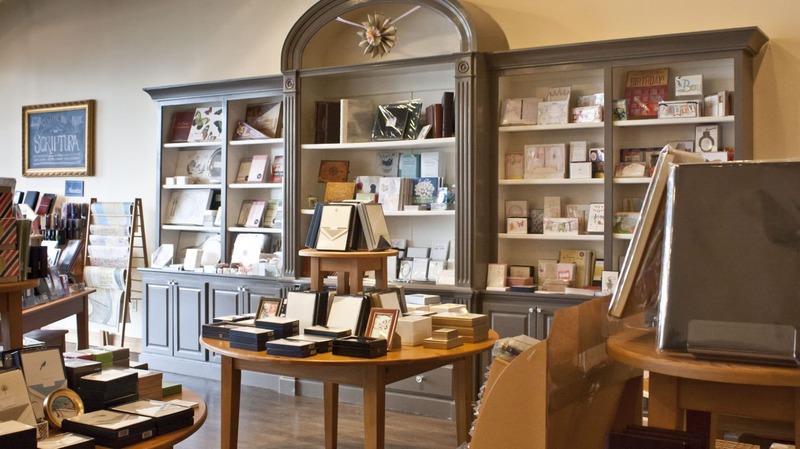 For the past 22 years, Scriptura has provided stylish stationery, invitations, party supplies and etiquette advice. A long list of faithful clients includes queens of carnival, national event planners, large scale businesses, and countless blushing brides. 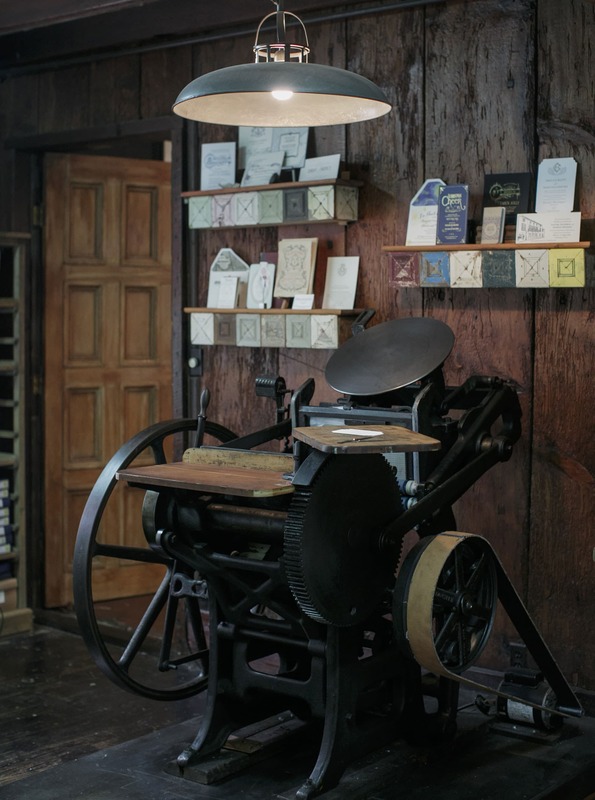 Committed to classic elegance and artful living, Scriptura is set apart by its in-house letterpress studio and award-winning illustrators and designers. Our work has been featured in local and national press including Veranda Magazine, The New York Times, Southern Living, Food and Wine, The Knot Wedding Guide, Lucky Magazine, Travel and Leisure, and The New Orleans Times Picayune. 1. 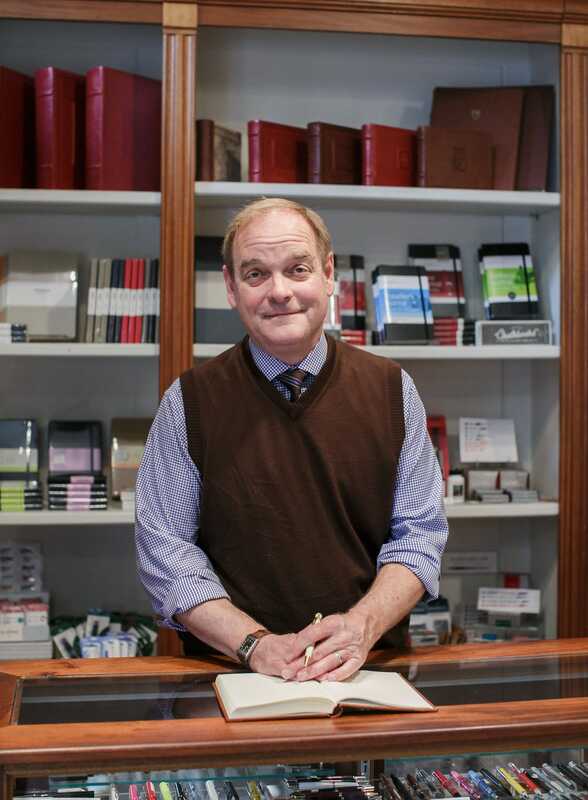 Schedule a consultation and we’ll arrange for you to meet with one of our knowledgeable consultants, who will guide you through every step of the process. The meeting will start with a few questions about your event. Is your wedding a formal event, or a casual backyard affair? How many guests will be attending? After they know a bit about your needs, they will show you designs that match the feel of your event. Scriptura is a wonderful resource: we will guide you to what is appropriate for you and your budget. We never want our brides to end up with something too trendy or that doesn’t set the right tone for their guests. We want you to be as happy with your invitations when you are looking at them on your golden anniversary as you are right now. 2. Once you’ve decided on a design, we’ll work with you on the wording. 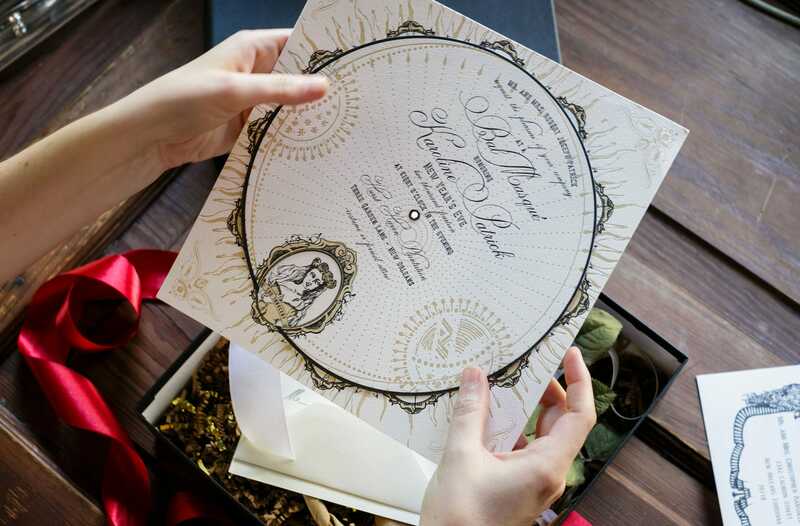 We have years of etiquette experience and can explain everything from the significance behind certain invitation phrasing, or why you need double envelopes instead of just one. 3. At this point, we’ll take a 50% deposit and begin the process of creating your invitations. You’ll get a digital proof from us in a couple of days. Once you approve the proofs, we’ll print the invitations. The whole process takes a few weeks for wedding invitations, or about a week from proof approval for casual party invitations. For those really special moments and events, let Scriptura help you set the perfect tone. From elaborate themed balls to corporate events, we have a staff of designers and illustrators just waiting to produce something unique! Visit our couture page and look at some of the things we’ve done in the past, and then fill out our form telling us a bit about you and your event. We work with clients all over the country—and the world. 1. Start by looking over our invitation collections online. If you see something you like, great! Too many choices? 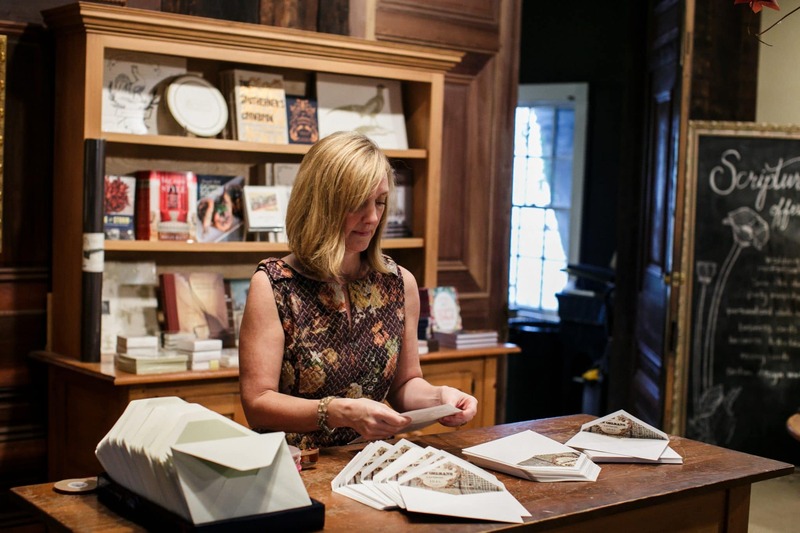 We can guide you to just the right invitation for your event. Fill out our consultation form, and we’ll have one of our consultants get in touch. They will ask you a few questions about your event and help you to get started on the process. 2. After you and your consultant have discussed and finalized your order, we’ll collect a 50% deposit and begin creating your invitations. You’ll receive a digital proof of your design to review and approve before printing. 3. Wedding invitations take around 3 weeks to ship (after you’ve approved your proofs). Party invitations are faster, usually about a week from proof approval. We can ship directly to you, wherever you are.